The Downeast Ham Radio Technology & Robotics Fair will be held on Saturday, May 19 from 9am until noon and will feature various ham radio modes of operations, including digital, fast scan television, Automatic Packet Reporting System, FLDIGI, Winlink, and more. Kids from the Ellsworth Robotics Team will also put on a robotics presentation during the event. 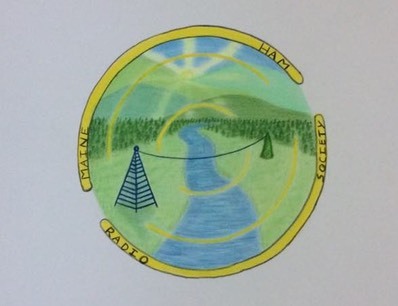 Raffle prizes include a dualband handheld ham radio, Hylander quadcopter drone, ARRL gift certificates, and more. The raffle will benefit Kidz radioActive, an organization dedicated to inspiring children through science, electronics, and amateur radio. A Volunteer Examiner Session (Ham Radio tests) will be given at the event at 1:00pm. Walk-ins are welcome. Test fee is $15. A legal photo ID is required, and you must provide either your social security number, or an FCC registration number (FRN) you can apply for in advance at www.fcc.gov. Questions about the fair or the exams can be directed to Phil Duggan N1EP, email n1ep@yahoo.com or call 598-5397. We had an awesome turnout for our March 15 at the Bluebird Ranch Restaurant in Machias. You can find info on our April 19 meeting here. MHRS is working with Kidz radioActive to start launching high altitude balloon projects with communication and scientific payloads. The intent is to launch these balloons at schools or in collaboration with such groups as 4H and the scouts. This is a way to get kids interetsed in amateur radio and science! 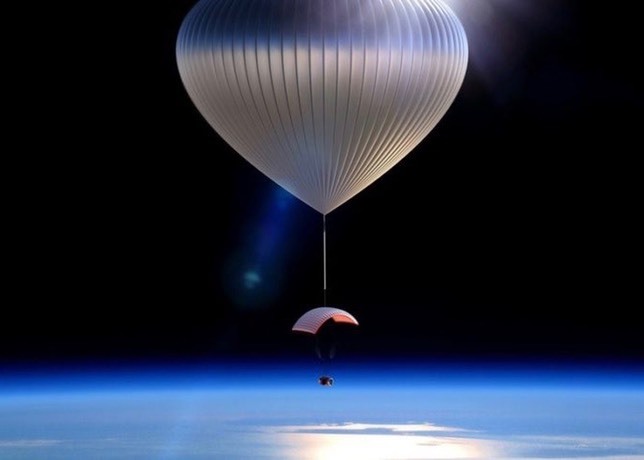 Phil N1EP announced recently that Dr Rick Eason of UMO has offered to fund the cost of the balloons and helium for any launches where kids are involved. The funds come from the Maine Space Grant Consortium. A meeting with be scheduled in the next couple of weeks to plan the launches. Contact phil@n1ep.com if you are interested in attending the meeting. During our last couple of meeting we discussed designing a logo for our club. Hunter KC1IDU and his girlfriend Heidi volunteered. Heidi happens to be a very talented artist, and it shows in the design. Hunter was able to create a digital version in vector format so that it can be scaled to any size we need. Thank you so much to both of them! Green Eggs & Ham Radio! Several kids attended the Ham Radio Story Hour at the Milbridge Public Library on Feb 17. Brenda N1ZPV read Dr Seuss’s “Green Eggs And Ham” over simplex 146.595 mhz and then chatted with a couple of the children. Afterwards the kids had fun playing with the Morse Code oscillators. Andrew KB1DQT showed his 6-year-old son Nick how to send his name in code! At least one adult was also fascinated by the demonstration, especially the Morse Code. David KC1GVG was control operator at the library. The next story hour will be at the library in Steuben on Feb 22. Maybe this time N1EP will remember to turn the microphone switch on the video camera so we have audio and video! Thanks to MHRS and Kidz radioActive for organizing these events! Electronics Lab - It’s a Snap! 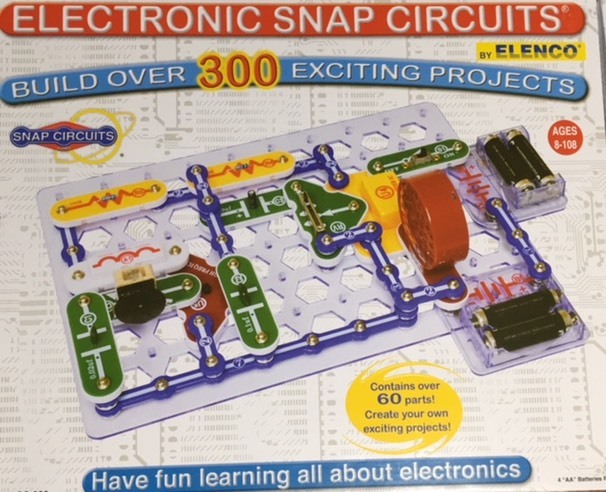 MHRS and Kidz radioActive are also teaming up to conduct an electronics lab snap-on session at the Milbridge Public Library on Tuesday, February 20 at 1:00pm. Kids ages 7 and up can have fun while learning basic electricity and electronics. It was a fun day of radio, great food, and fellowship at the home of N1EP & N1ZPV on Nov 19 for Sweepstakes Social. A test session was also held in the morning and Olin Blodgett was successful in passing both the Technician and General class exams. 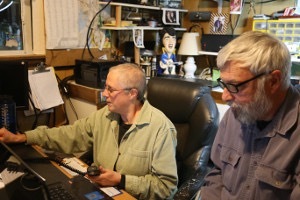 Joan N1NUA, and Brian KC1FXF, had a blast operating the Sweepstakes (SSB) contest using the Poverty Hill ARG callsign W1KMG.